Fifteen-time MTV EMA winner Eminem will make a highly anticipated return to the EMA stage for the first global performance of his new single “Walk on Water” LIVE at the 2017 MTV EMAs. 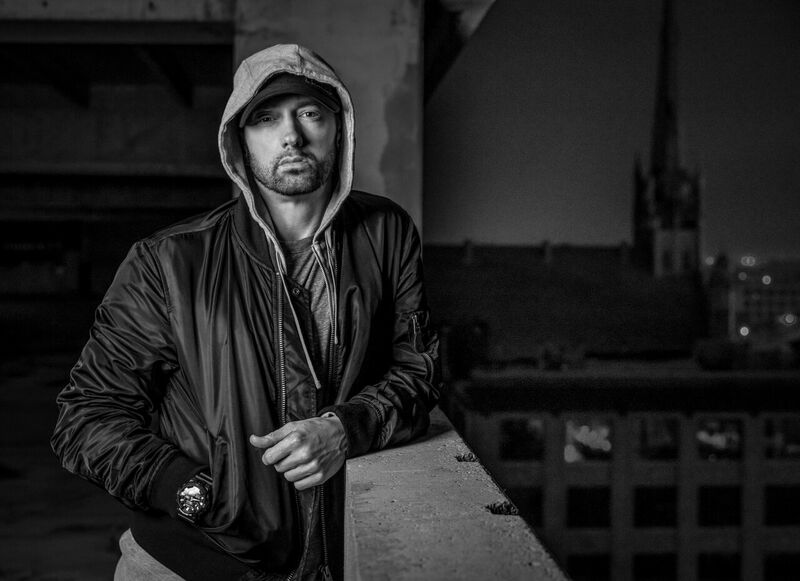 This marks Eminem's fourth EMA performance as he returns to the show in London, following his surprise performances of “Berzerk” and “Rap God” that dominated the night at the 2013 MTV EMAs in Amsterdam where he was honored with the night’s esteemed Global Icon Award and also took home the title for “Best Hip Hop” artist. He has sold more than 155 million albums worldwide. “With 35 EMA nominations and 15 wins under his belt, Eminem is no stranger to the EMAs and we’re thrilled to announce his highly anticipated debut will take place at our biggest night in music,” said Bruce Gillmer, Head of Music and Music Talent, Global Entertainment Group, Viacom and executive producer of the 2017 MTV EMAs. Eminem joins a star-studded performer lineup including Global Icon honorees U2, Shawn Mendes, Demi Lovato, Liam Payne, Camila Cabello, Kesha, The Killers, Stormzy, Travis Scott, French Montana, David Guetta and Clean Bandit with featured artists Zara Larsson, Anne-Marie and Julia Michaels, and this year’s 2017 MTV EMA host Rita Ora, who will be performing her highly-anticipated new single. James Bay, Jared Leto, Daya, Natalie Dormer, Madison Beer and Sabrina Carpenter will present awards at the show. The 2017 MTV EMAs, one of the biggest global music events of the year that celebrates the hottest artists from around the world, will broadcast to MTV channels worldwide from The SSE Arena, Wembley in London on 12 November 12. The show will air live in the U.S. at 3:00 p.m. ET/12:00 p.m. PT. The full list of the 2017 MTV EMA nominees can be found here -- voting is open until November 11 at 5:59 p.m. ET.